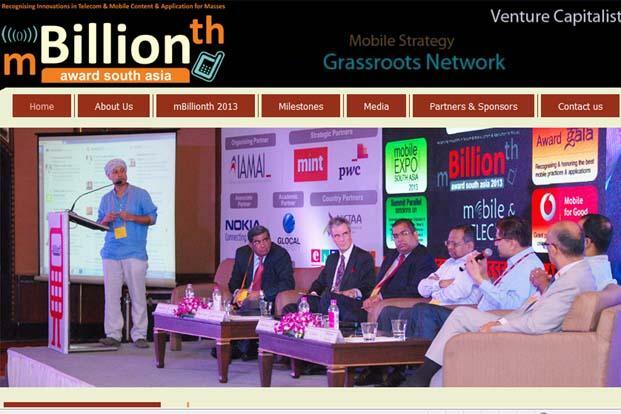 Mobile Vaani won mBillionth award 2013 in m-inclusion category. Read original source by LiveMint. Excerpts are below. 33 winners announced in various categories which include business, health, education and governance. 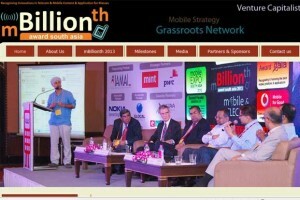 New Delhi: Winners of mBillionth Award South Asia 2013, which seeks to promote innovations in mobile technologies for better governance, rural development and inclusive growth, were announced on Thursday. The award honours innovations in mobile applications and service delivery. As many as 33 winners were announced in various categories which include business and commerce and banking, education and learning, entertainment, health and governance. Here’s a look at a few of the winners. Company: Gram Vaani Community Media Pvt. Ltd.
Jharkhand Mobile Vaani is a citizen radio-over-phone platform that aims to facilitate public communication in remote and rural areas. Through this service, a person needs to give a missed call on a certain number and is called back by the organization, airing his/her voice through a community radio channel. This initiative is aimed at enabling poorly literate and low-income citizens to engage with each other on topics of mutual interest and share information in a seamless manner. “All of us have access to Facebook, Twitter and other such technologies where we can communicate ideas and thoughts with other people. People in these remote areas have no such facilities,” says Aaditeshwar Seth. “In Jharkhand, people are using this forum in a very interesting way. They often share poetry and folk songs on the forum,” he added. The service is even utilized by farmers to ask questions on agriculture, health and government schemes which are answered by Gram Vaani’s resource partners. It has also become a medium for users to share grievances regarding government schemes like NREGA. “Think of it like a Facebook for rural areas, which means we have a very captive user base. In Jharkhand, we get over 2,000 calls a day,” says Seth. Gram Vaani is currently working on a model to make the venture financially sustainable by attracting advertisers and sponsors for network.